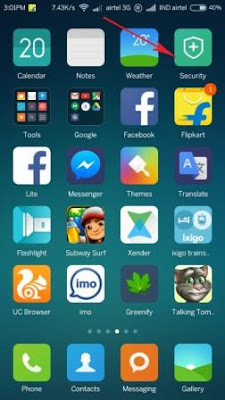 Data is an Important Part of our Smartphones as of now, we can use internet to access lot of information and can download music, videos, games and other things. 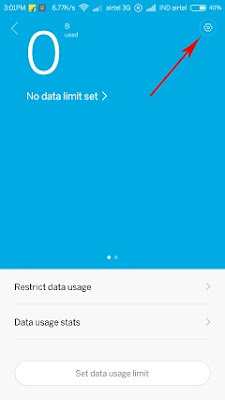 There are a lot of Apps available on the Google Play Store to Check Data Speed, But on Xiaomi Devices it comes By Default. 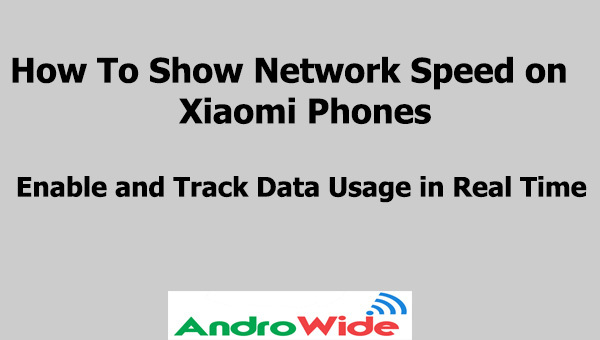 So Start with the Tutorial to Show Network Speed on Redmi Devices Like- Redmi 1s, Redmi 2, Mi4i, Redmi Note and Redmi Note 4 Other Xiaomi Smartphones. 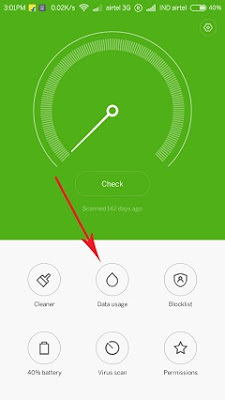 Step 1- Open The Security App. Step 2- then Click on Data Usage. Step 3- And Now Click on the Setting Gear icon on the Top Right Side on the Screen. 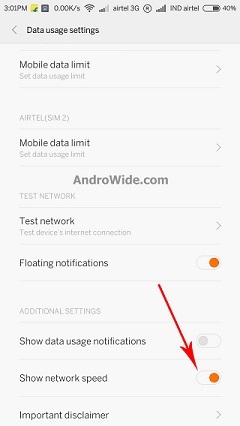 Step 4- it will Show you a lot of option to enable and Disable, Just Enable Show Network Speed. Your Phone will now Display on the Status Bar That how Much Data is getting used By Real Time.